Bishop Timothy Senior has been Auxiliary Bishop of Philadelphia since July, 2009. Bishop Senior was appointed Rector of Saint Charles Borromeo Seminary, Overbook on July 2, 2012. Prior to assuming this responsibility, Bishop Senior served as Moderator of the Curia from 2009 to 2012, assisting the Archbishop in the governance of the Archdiocese. Prior to this appointment, Bishop Senior served as Vicar for Clergy for the Archdiocese of Philadelphia from June of 2004 to July of 2009. As Vicar for Clergy, he oversaw all aspects of clergy personnel of the Archdiocese. From 1992 - 2004, Bishop Senior served in the Archdiocesan Secretariat for Catholic Human Services, both as Deputy Secretary and then Secretary. In that role, he had the responsibility for the governance and operation of the network of Catholic health care and social services ministries sponsored by the Archdiocese of Philadelphia. A 1977 graduate of Lansdale Catholic High School, Lansdale, PA, Bishop Senior is a classically trained pianist and the youngest of three children. 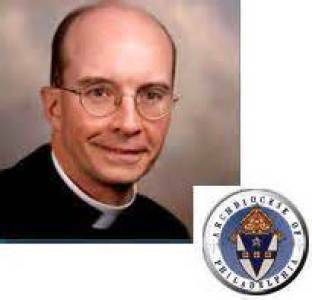 He was ordained a priest of the Archdiocese of Philadelphia in 1985. He earned a Masters of Divinity and Master of Arts in Theology from Saint Charles Borromeo Seminary, Wynnewood, PA in 1988, served as an assistant pastor at a parish in Bucks County and taught religion in an Archdiocesan high school before pursuing full-time graduate studies at Boston College. After earning his Masters in Social Work and Masters in Business Administration from Boston College in 1992, Bishop Senior served as Deputy Secretary for Catholic Human Services from 1992 until 1997 when he was appointed Secretary. In 1998, he was named Chaplain to His Holiness, Pope John Paul, II, with the title “Reverend Monsignor.” In 2004, he was named Vicar for Clergy by Cardinal Justin Rigali, and in 2005, was named a Prelate of Honor by the late Pope John Paul II. In 2009, Bishop Senior was appointed Titular Bishop of Floriana and Auxiliary Bishop of Philadelphia. He was ordained a Bishop on July 31, 2009 by Cardinal Justin Rigali.